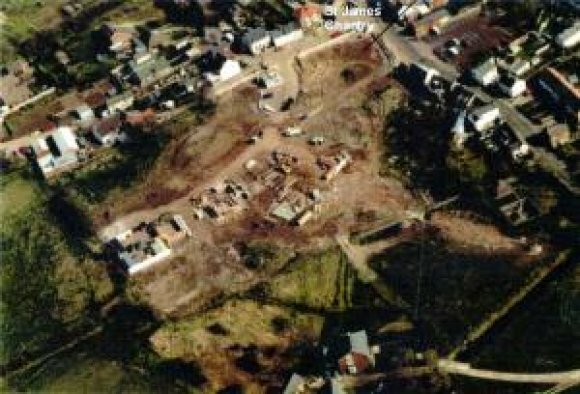 In February 1990, Hassall Homes Ltd., were beginning a housing development at Cheney End, Huncote, when they discovered human bones. When the bones were analysed they were thought to date back to the 12th century. 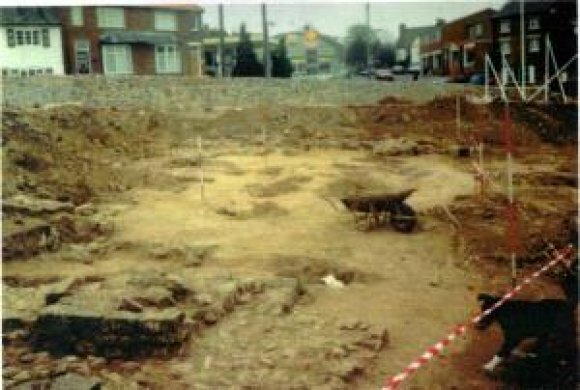 Hassall Homes then delayed building work to enable archaeologists to excavate the site. They discovered a large medieval building with granite foundations, pieces of glass and wall plaster, and more fragments of bone. Mr Patrick Clay, Archaeologist, has kindly given permission for his report to the Transactions of the Leicestershire Archaeology and History Society to be reproduced.